Marcel Labelle is a proud Algonquin and Metis husband, father and grandfather. He grew up in Mattawa, a small town in Northern Ontario and spent most of his childhood on the trap line. This is where he learned how to live with and from the forest. Marcel shares Anishinabae knowledge through birch bark canoe building. He is recognized as a senior artist by the Ontario Arts Council since 2008 and received OAC Aboriginal Arts Projects Grants every year since. Today he is an Aboriginal Awareness speaker, an author and offers special canoe building projects at Universities, Colleges and English and French School Boards in Northern and Southern Ontario. His work has received International recognition. Marcel teaches canoe building at Laurentian University’s School of Architecture in Sudbury. He and his wife Joanne have recently moved back home to live in a log cabin they built themselves where they plan to share for many years to come. Fall 2015 Canoe building for Timmins Venture Centre’s 400 year celebration of Francophonie in Ontario. At the Timmins Museum. 2015 Recipient Ontario Arts Council Aboriginal Arts Project “The Birth of a Nation” canoe. 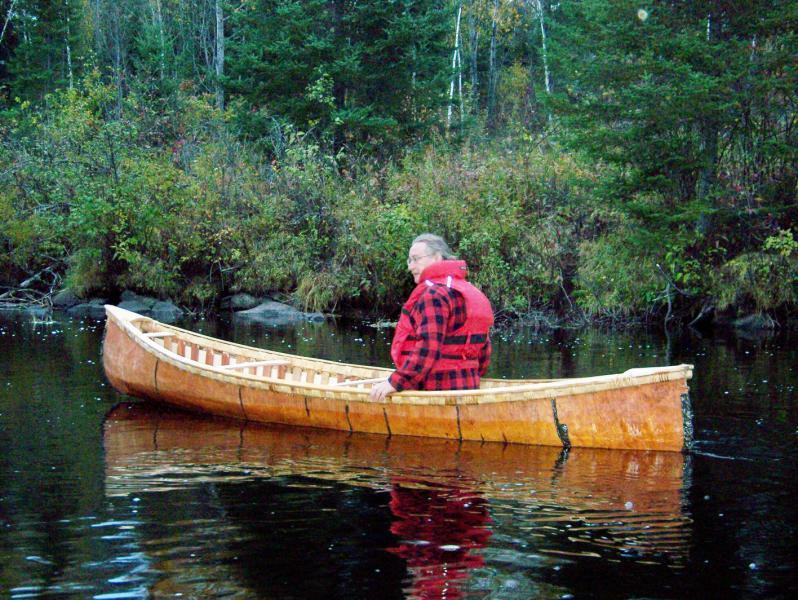 Fall 2014 Canoe building at Laurentian University School of Architecture, Sudbury. January 2014, Barrie, ON. Birch bark canoe project at Ecole Secondaire Nouvelle Alliance. July 10 2013. Welland , ON. Two year countdown celebrations for 2015 Pan/Parapan AM Games canoe presentation. April, 2013. Share culture with Queshua canoe builders in Peru. June 2013. Recipient OAC Aboriginal Arts New Works Grant for Chapleau Birch Bark Canoe. 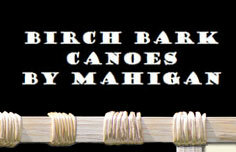 March 2012- Birch bark canoe building project at H B Beal Secondary School, London Ontario. February 2012- Self -published “Le Canot de Nos Ancetres”. November 2011 presenter at the Ministry of Educations Circle of Lights conference at the Royal York, Toronto. Summer 2011, Sudbury, ON. College Boreal Metis Canoe Project . 2011. Self- published “OUR KNOWLEDGE CANOE: A look beyond the aesthetics of the traditional birch bark canoe of the original people of North America“. May 2011. Keynote speaker at the DDSB’s Spirit Calling Aboriginal Symposium. 2010-2011. Commissioned by the Department of Canadian Heritage to build a 26 foot canoe at GL Roberts in Oshawa for the Oshawa Durham Metis Council. November 2010 Keynote speaker Aboriginal Education Symposium for the Avon/Maitland District School Board. 2010 Commissioned by the Association of Professional Archaeologists to build 3 one foot canoes to accompanied with a booklet on the birch bark canoe for the Aboriginal Archaeological Liaison Initiative, Curve Lake. 2009-2010. Featured in the Ontario Arts Council Annual Report Aboriginal Arts section. vFebruary 2010. Storyteller. Smithsonian National Museum of the American Indian, New York city. November 2009. Education Day at the Canadian Aboriginal Festival, Copps Collosium Hamilton. October 2009. Ontario Arts Council Grant project called Niagara Region Metis Council Canoe at Fort Erie Secondary School, Fort Erie. June to September 2009. Community Canoe Building Project for the Healing for the Seven Generations, Kitchener, Ontario. August 2009. Instructor INDG 4850 Learning and Living on the Land, Trent University, Peterborough, Ontario. February 2009 Aboriginal Awareness Week University of Toronto. November 2008 Canadian Aboriginal Festival Rogers Centre, Toronto. Sept. to Oct. 2008 OAC Aboriginal Arts Project Grant award. 2007 Canadian Aboriginal Festival Toronto.